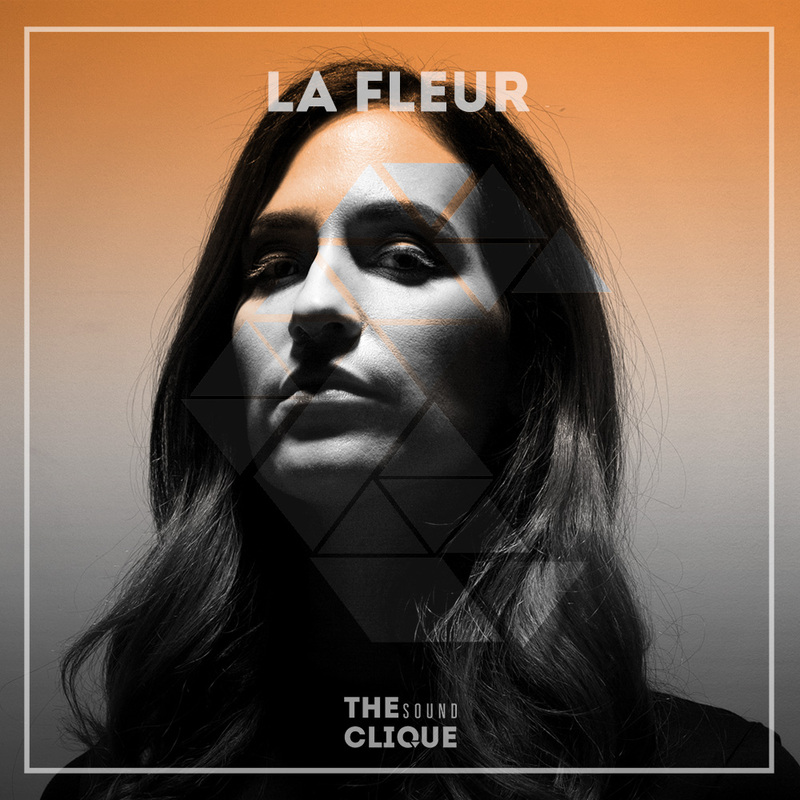 If you would like to discover, who La Fleur really is, you will find that behind this Swedish-born and Berlin-based strongly talented woman lies more than just one profession – a DJ & producer, label owner, resident DJ at Berlin’s Watergate, fashion designer, radio host, and a mixed media artist. Being awarded with a Master Degree in Pharmacy, La Fleur started DJing in Stockholm soon after her graduation, managing to secure herself residencies within the city’s melting club spots, as well as running her own club nights such as the Sunday Secrets & Suburbian Wasteland. Welcome Sanna, it is a pleasure and an honour to have you featured in our Behind The Decks interview series. Let’s go all the way back to your musical beginnings. Speaking of beginnings, it is no secret that a strong bond used to exist between your name and the term “pharmacist”. What was the crucial moment when you discovered that your passion for music “weights” more than the pharmacy itself? I came to a point where I had to choose. I worked too much, as a pharmacist during the days and as a DJ during the nights and I got exhausted, it was work over load but in all that I really also wanted to make time to start my own production. It was of course nerve-racking,but at the same time I felt calm taking the decision, took a big step, moved away from everything I felt was safe to give music and the life that comes with it a real chance. But that’s the good thing with having an education. For me, it always felt like a safety net, as I still say sometimes, if this doesn’t work out I can always go back working as pharmacists. How that passion did take you to one of the most authentic and artistically influential cities – Berlin? The reason why I moved to Berlin was to get inspiration in every day life. Berlin was and still is a melting pot and source for different types of creativity. Has it always been easy to fight its possessing competition, or, you find its creative, artistic background more inspiring? I never felt I had to fight it’s possessing competition as I didn’t move here to ‘make my career’. I thought I’m not gonna DJ at all in the city, since already at that time, in 2007, it felt like everybody was a DJ, so I thought I just go there for three months to get some inspiration and time for productions. It’s all been coming natural in a good inspiration ground to grow from. The name “Watergate” is inevitably connected to the city of Berlin. What is it that you believe it makes this club particularly special and different compared to the other clubs Berlin has to offer? Watergate is one of the oldest and still exciting clubs in Berlin, ran by people with their heart in music, which is something you can feel and hear inside the club. Considering the fact that you were one of Watergate New Year’s Eve event headliners, how did the beginning of 2017 start for you? Was that night somehow different compared to your past residential experiences there? New Years Eve gigs are always special. As nights with very high expectations, you can almost touch the excitement on the dance floor. It was a fun gig as every one was up for a good party and it was a fantastic start of 2017! Do you have any special shows coming up? Yes, I had a great start of the year with my Australia and Asia tour this month and I’m happy to have a hectic schedule in spring, with highlight gigs such as Watergate with Sasha, Heart in Miami during WMC, Rex club in Paris to mention a few. What else music wise do you have coming out in the near future? I did a remix for Francesca Lombardo that will be released 24th of August on her label Echoe. Another remix for Zoo Brazil coming out on Hot Since 82’s label Knee Deep In Sound end of March and lastly, I have some more things cooking that I can’t reveal just yet. And finally, when it comes to 2017, would you mind revealing some news behind your very own “Power Plant Records” label? I’m finishing my own new EP that will be out this spring, as well as some new material from Jesper Ryom, which I am pretty sure will be amazing. Also adding some more faces to the label. Putting in some extra love and focus to the label in 2017, so expect more Power Plant growth soon. Her exceptional multi talent is a story that constantly grows, a story that she insists on sharing in her own unique way. A story in which La Fleur is grateful for the possibility to change her life, by devoting herself to electronic music. She is grateful that she can express herself and her talent through music. La Fleur is forever grateful to electronic music. Catch La Fleur Live at Chateau Motel, Copenhagen (DK) this Friday. For event info and tickets click here. Connect with La Fleur on Facebook and SoundCloud, as well as her own Power Plant label on Facebook.